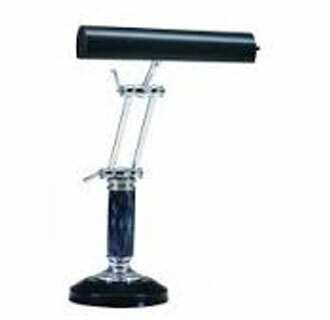 House of Troy Chrome and Black Piano/Desk Lamp. Has 6 inch base and 10 inch shade. Adjustable height to 16.5 inches.